Until the ClearSync To Outlook (CS2O) feature supports syncing Outlook Contacts -- which is currently slated for sometime in early 2012 -- follow the instructions below to export your contacts from Outlook into a <csv> file and then import them into the ClearSync 2 Desktop or browser-based online ClearSync 2 Viewer application running on your PC. 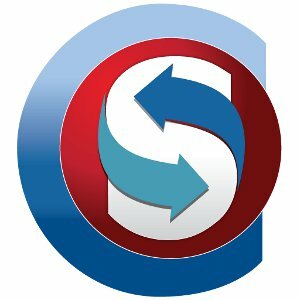 Then after syncing them to your Account on the ClearSync Server, they appear in your ClearSync for Android (CSA) app the next time it syncs; they will also be available to share with other ClearSync users if you wish. And when contacts syncing is added to the ClearSync Google Sync (CSGS) utility -- a little later in Q1 2012 -- you can also directly link & sync your Outlook & Google contacts with one another. Please send us a Support Request if you would like to be notified of when the contacts syncing Beta versions of CS2O and CSGS become available for field testing. After launching Outlook, select the Contacts view. On the Export Contacts dialog, select which contacts you want to export and the <Outlook CSV> format, then Export. Save the file -- be sure to note the filename and its location. Bring up either the ClearSync 2 browser-based online Viewer or Desktop application. Click the Preferences icon and uncheck the "Enable autosync" box to turn it off. Be sure to re-enable it when the import is complete. Select the Import icon . Browse to the <.csv> contact file you wish to import, select it and click Open. - Larger files may take a few moments to be accessed by the Importer. - if you prefer to merge the imported contacts into a current ClearSync category, select Existing Contact Category and check the target category box. Select the field matching criteria as needed then click OK.
Use the Category Manager to assign Access Permissions and a color to the imported category. Sync to the ClearSync Server. After syncing through the ClearSync Server, the imported contacts will then appear in your other ClearSync applications, such as on your Android phone, and any new categories can also be shared with others via your via your My ClearSync Home .